Here is the circuit diagram of regulated power supply. 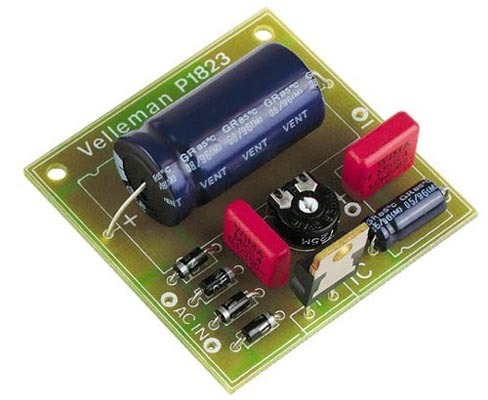 It is a small power supply that provides a regulated voltage, adjustable between 1.5 and 35 volts at 1 ampere. This circuit is ready to use, you just need to add a suitable transformer. This circuit is thermal overload protected because the current limiter and thermal overload protection are included in the IC. Output Current = 1.5 Amps max. It has not to be cooled if used for small powers. 28 Volt AC max is allowed for the input voltage.